This is a Charles County wrongful death lawsuit that involves the failure to diagnose a newborn's sepsis that tragically causes death, ten days after her birth. The claim alleges that the doctors should have further evaluated the child for sepsis because there was a constellation of systems that by themselves warranted a full sepsis workup in the emergency room. If the doctor's had recognized that herpes was the cause of the child's symptoms, the antibiotic Acyclovir would have saved the child's life. An infant girl is born at MedStar St. Mary's Hospital in Leonardtown, Maryland. 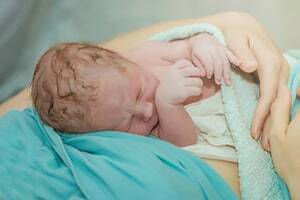 She is born after 38 weeks of intrauterine pregnancy and following an arrest of dilation, non-reassuring fetal tracing, and prolonged rupture of membranes which lead the doctors to deliver her by C-section. She is discharged from MedStar with a diagnosis that includes "need for observation and evaluation of newborn sepsis." One day after the infant girl's discharge, one of the Defendant doctors performs an exam. No vital signs are documented and the Defendant doctor records that the infant girl has experienced abnormal weight loss. The story is essentially the same when the Defendant nurse practitioner examines the infant girl 5 days after her discharge. Vital signs are not documented, despite the weight differential between 5 pounds 15 ounces then and 6 pounds 3.5 ounces just 4 days prior. Another Defendant doctor and/or the Defendant nurse practitioner again examines the infant girl, now 7 days after her discharge. This visit is classified as a "sick visit." The infant girl has a 95-degree body temperature. Vomiting and diarrhea of large volume are recorded and her weight has now dropped to 5 pounds 13.5 ounces. According to the claimants' medical expert, the maximum expected weight loss is 10% of birth weight and is usually regained by the second week of life. Now 8 days after her discharge, the infant girl is seen again by the first Defendant doctor. Vitals are taken during the visit, but specific vital signs are not reported on the medical records. What is reported is that the infant girl's weight is measured at 5 pounds 13 ounces, she is lethargic, listless, and cold to the touch. These abnormal signs, more than a week after birth, should have alerted the doctors to the mounting evidence that this infant girl required emergency attention. Later that day, the infant girl is admitted to MedStar where she passes away. The cause of death is reported as "disseminated infection by Herpes Simplex Virus with superimposed bacterial sepsis and dehydration." The infant girl's parents file a wrongful death claim and a survival action against the Defendant doctors and the Defendant nurse practitioner in Charles County, where each of the Defendants either practices or conducts regular business. The parents allege that the doctors either from lack of training or neglect violated the standard of care by failing to recognize, evaluate, and monitor for sepsis, infection, viruses, and weight loss. Shulamite Kon, M.D. - a pediatrician with a private practice in New York. Chadi El Saleeby, M.D., M.S. - board certified in both General Pediatrics and Pediatric Infectious Diseases. Practices pediatric medicine at Massachusetts General Hospital for Children and is an Assistant Professor of Pediatrics at Harvard Medical School. The plaintiff's argument in these cases is not that the doctor should have "known" the child had sepsis. These symptoms could be attributed to any number of different causes. But they must raise the suspicion of sepsis which requires the doctors to take steps to rule it out as the cause of the child's problems. In this case, the doctor was given a roadmap by the hospital who said she needed to be evaluated for the possibility of newborn sepsis. You can expect two contradictory defenses from the doctors. First, they are going to argue that a reasonable physician in the defendant's shoes would not have suspected sepsis from child's symptoms. Alternatively, the doctors will argue that the child's sepsis was so advanced that an earlier diagnosis would not have saved her. For their causation argument, the defendants will cite the Textbook of Pediatric Neurology: Principles and Practice (page 1604-1606): "Although favorable outcome after neonatal childhood herpes virus infections correlates with early initiation of Acyclovir, sequela are common even after appropriate medical management.... Fewer than 40% of survivors of neonatal or childhood herpes simplex virus encephalitis recover to their baseline levels of function. Potential sequela consists of partial and generalized seizure disorders, developmental delay, cerebral palsy, language dysfunction, behavior abnormalities and motor deficits." From this, they will argue that it is impossible for the plaintiffs' attorneys to establish how exactly delay from presentation until positive diagnosis caused the child harm. One question unanswered in the Complaint is whether the mother knew she had the herpes virus and, if she did, what she told the doctors about it. If your child has been harmed from medical error, our Baltimore based malpractice attorneys can help you get the justice and compensation you deserve. Miller & Zois has a history of results, earning seven figure verdicts and settlements in surgical malpractice injury and wrongful death cases. Speak to an attorney today at 800-553-8082 or get a free, no obligation online case review. We handle claims in every corner of Maryland and Washington, D.C. Looking for co-counsel for your case? Learn about what we can do for you and your client? CALL 800-553-8082 or get a free online case evaluation in medical malpractice injury and wrongful death claims throughout Maryland.